First and foremost, album art must be iconic. It should be instantly recognizable, it should catch the eye, and it should be unique. These were the challenges I faced when tasked to create the artwork for the debut EP of Chicago punkers Guardrail. The artwork needed to be fun and represent the band’s self-deprecating sense of humor. 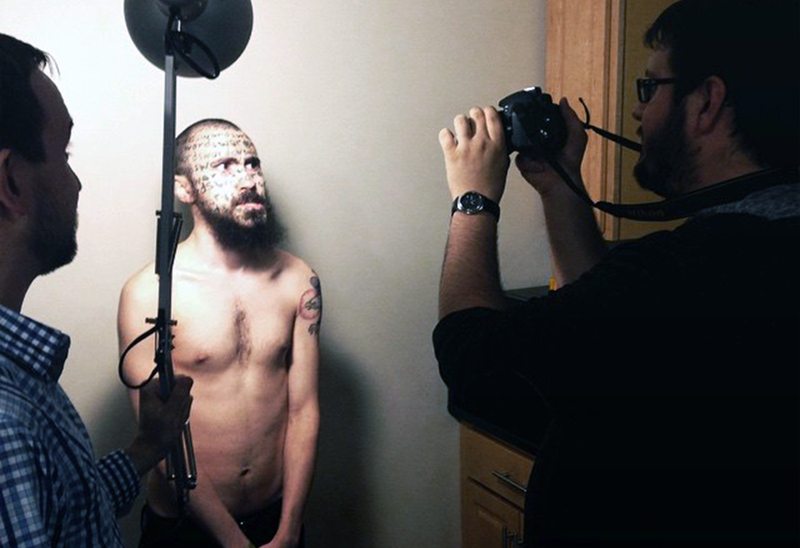 After writing the album title on his face, I stepped behind the camera and coaxed the band’s singer to imagine himself in a vulnerable and shocking situation in order to capture the surprised look for the close-up front cover shot. 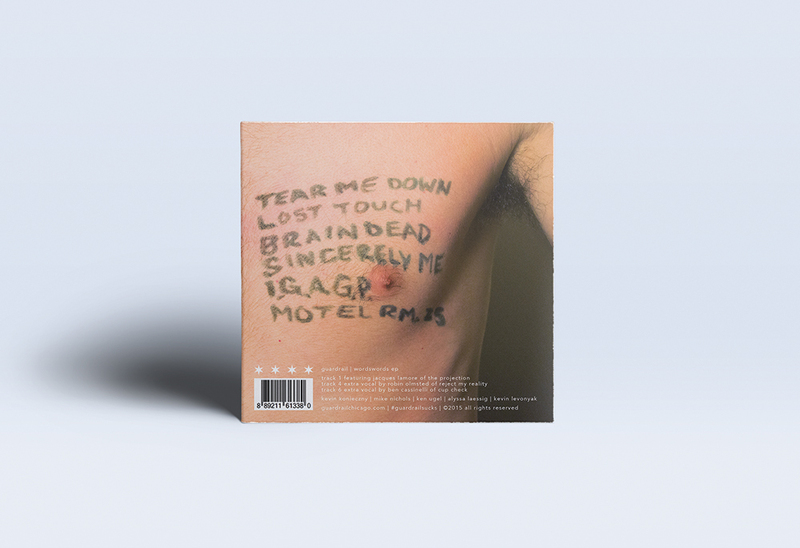 The track listing was photographed written on his chest to further the awkwardness of the shoot. 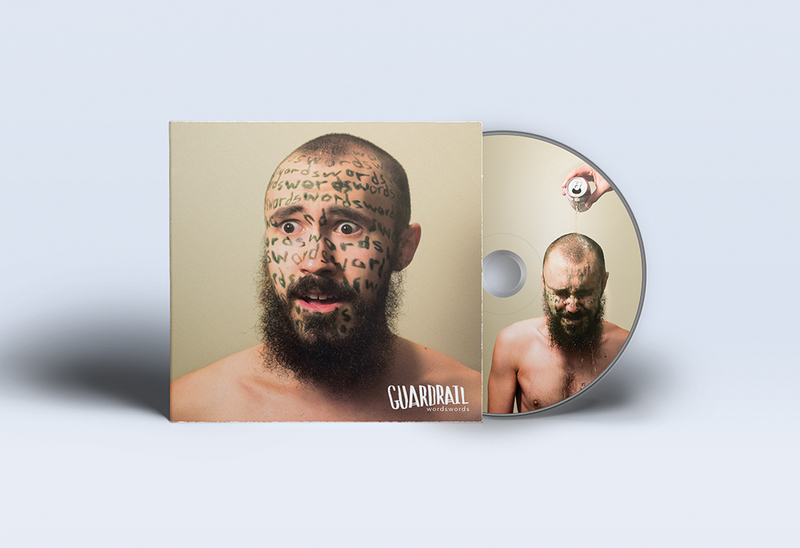 Finally, a cold can of beer was poured over his head to serve as an uncomfortable shower to wash off the writing, and also for a silly and unexpected graphic for the CD itself. The photoshoot yielded content that was used in the marketing of the album itself for social media. The EP can be heard here in it’s entirety.